I’m not a victim and will never adopt the professional victimhood you seek refuge in so often. Thank you for your ‘support’, but alas much like the gifts of the gods in Greek tragedies, your support comes with double-digit compound interest, which you make clear through your piece — that your positions are based on reciprocity. I, therefore, reject your support, which I never sought in the first place. The only person this exposes as a hypocrite is you. Additionally, this demonstrates that you are utterly clueless about policy issues, legal principles, systems and context across the world. How can someone who pens such an infantile piece and could legitimately star in the sequel to ‘Clueless’ ever become a ‘top journalist’? Let’s start with human rights. See Barkha, after the Niira Radia episode, and your article in ThePrint on me, I do understand that you consider positions taken by a journalist as being based on quid pro quo – ‘you support me, I support you’. I, on the other hand, regard it to be unethical. Unlike you, who arrives at a position based on kitty party gossip, I actually research and read about anthropological trends and back my positions up with solid statistics. 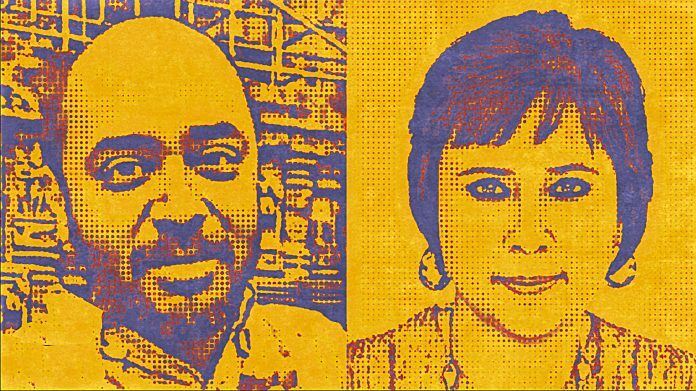 Also read: What if Barkha Dutt had joked about Konark Temple’s erotica instead of Abhijit Iyer Mitra? Human Rights Watch and Amnesty International are despicable organisations, who have wreaked havoc on millions of lives through their calling for and support of regime change operations. I’ve written about it here. But since reading is not your forte, let me make another attempt. Let’s start with the quarter of a million (some say up to 700,000) civilians who died as result of the US invasion of Iraq, based on exaggerated literature on atrocities provided by these groups. Not content with the havoc they wreaked there, they’ve continued to provide similar justifications in Libya and Syria, and essentially acted as an enabler of interventions by the US. You may schmooze with these high society enablers of horrific mass strife over glasses of Dom Perignon, but sadly their support for my freedom doesn’t absolve them. Do you know how NGO funding works? Why every problem has to be overstated, so that funders will cough up money? Why a regime change operation boosts NGO funding as it is seen as ‘concrete policy influence’? No? Clueless about that as well? Tell me Barkha, in your unwatchable, giggly, school girl interview of Hillary Clinton, why didn’t you haul her over the coals for Libya? Thousands killed and a stable society completely destroyed as a result of her command responsibility I guess is not as important to you as her fight for gender rights? Second, while you were spewing uninformed, semi-literate hot air, my Right-wing friends were busy working quietly behind the scenes to have me released. That they sought no acknowledgement or public recognition shows they actually cared about what happened to me, as opposed to your worthless, narcissistic, public posturing. Guess what? It was those covert interventions and not your ‘support’ that ensured I was treated well and initiated the process of the Odisha government dropping charges against me. But I guess after covering the political beat for over two decades you still haven’t figured out how this country works, says more about your undeserved ‘celebrity’ status than it does about my hypocrisy. Yes Barkha, I’m not a victim, and, I never will adopt the professional victimhood you seek refuge in so often. Let’s take your quote of my tweet about Gauri Lankesh. The first in that series was about how she had been convicted by a court of law for printing fake news, and yet she got a state funeral, involving expensive sandalwood, a gun salute, and was draped in the flag. This was while people like you were going hammer and tongs at Jayant Sinha for garlanding those who were convicted, and their appeal was pending, in a cow lynching case. One of your ilk challenged me and I replied that lynch mobs were spurred on by fake news of the kind Gauri spread. Clueless? Barkha, do try reading up on the mentality of pogroms and how they’re spread by rumour mongering in pre-industrial societies. Incidentally, the court did hold that Gauri Lankesh did not take ‘due care’ before publishing articles, enough to merit a conviction. Just so you know ‘intent’ is a critical element of conviction in Indian and Anglo-Saxon jurisprudence. I do remember the name of Lois Sofia, but do you remember the names of Vinod Mehta, Yogesh Kumar Sheetal and Chaitanya Kunte? See Barkha, with Sophia, what you fail to mention is, I posted the sections of the DGCA rules that clearly mark her actions in an aviation zone as prosecutable in no uncertain terms, punishable for upto a year, and I supported her right to call Narendra Modi a fascist, just not create a ruckus and intimidate a passenger in a high-security area. Curiously, it seems you tried to get Yogesh hounded out of IIMC for precisely the same reason. The difference was that Yogesh was sloganeering against you in a place where he had every right to, while Sophia was doing so in a high security, restricted space where the laws against disorderly behaviour are clear, and ruthlessly enforced for good reason since 9/11. But then again, your inability to absorb the nuances of any kind of law, leave alone security, shines through. Your alleged ‘insights’ are simply phantasmagoria generated by those ‘reciprocity’ deals you, by your own admission, love so much. If you had, indeed gone through my timeline, you’d have seen me oppose my Right-wing friends and support the Congress’ right to abuse the Prime Minister, and on many occasions support outrageously provocative tweets against Hindu gods, simply because they had not called for violence in any way. You also, in your usual Goebbelsian way, left out that I called for machine-gunning Ram Rahim’s supporters when they rioted post his conviction, and asked for the same for “Lefty scum” who were engaging in violence. You see Barkha, try reading Steve Pinker, or Yuval Harari, or Ian Morris for real knowledge on how the states’ monopoly on violence and its use in the long run produces stable, free societies when paired with disruptive industrialisation. Now, try googling the word ‘segue’. It’s what I used in the Karnataka assembly case of sentencing editors to jail to draw attention to Kashmiri newspaper editors inciting and, in some cases, giving meeting points and times in code to stone pelters. But I don’t expect you to get it. But what rankles me is that in addition to your research skills being so poor, you also seem to think journalists must be above the law, no matter how fatal their actions and how transparent their collusion. You see Barkha, unlike you, I have only tweeted for prosecution against violence or genocide denial, but never coupled my tweets with legal action. Far more advanced democracies like France and Germany actually have laws against such genocide denial, and in the US the Anti Defamation League uses civil suits in the absence of genocide denial laws. Your verbal protests, on the other hand, were accompanied by actions – not against actions but against speech. Mine weren’t. Who’s the free speech supporter and who the hypocrite now, eh? As for your deliberate attempt to solicit pity and make everything about yourself by asking “what would happen if I did this?”, well sorry to disappoint you, but ‘absolutely nothing’. Given that you weren’t even summarily investigated for your telephone conversations during Radiagate that supposedly tried to help those seeking to influence government formation, or when you allegedly outed positions during army operations, we know that whatever else would have happened to you, it wouldn’t be jail. In all likelihood, some no-name Twitter bots would have made less than credible threats, which, given your modus operandi, you would have taken to town and won some kind of international victimhood award as you tried to do with my arrest. But I realise now that you’re not evil, you’re simply an utter mediocrity, desperately trying anything to stay relevant. I truly misjudged you, and for that, I apologise profusely. You don’t deserve my or anybody else’s malice. You deserve our pity, you’re not a bad person, just a failing, flailing megalomaniac. All views are the author’s own. This was an epic rebuttal! Waiting for Barkha dutt to call him misognistic and vitcim abuser who calls women names while entirely deflecting on the content of the article. He showed his crass behavior and why he deserved to be jailed by this article. People like him needs or requires no support. I hope he gets all the hell he truly deserves. “Integrity is choosing courage over comfort; choosing what is right over what is fun, fast, or easy; and choosing to practice our values rather than simply professing them.” ―Brené Brown. Educated punjabis among others must imbibe this quality . Most brutal take down of a highly overrated ,underscrutinized,sidelined, selfstyled journo. Befitting reply. Kudos. The term coined by V K Singh to describe certain types of journalists actually was inspired by the likes of this lady journalist. Shameless and mercenary this lady loves to be in the limelight for wrong reasons. Cogent, logical reply to unsolicited ‘support’. and in beautiful English prose, a rarity these days!! Absolutely classic. For once someone has shown the mirror to Barkha to see her true face and if she cares to look into it I am sure she will see the ugliness there, which was always visible to those who cared to look properly. But Barkha being Barkha I do not see any good coming of this. A superb article; thoroughly exposes the hypocrisy and mediocrity of Barkha. She is one of those charlatans who had a jolly good time under the UPA I and II dispensations. Now, she is just irrelevant. Love you, Abhijit. This is pure class. You are golden, and I hope you always stay that way. If there is a thing called a ‘Classy Roast’, then this was it. This was brilliant Abhijit. Spot on. Loved it. Language is perfect. She deserves it. Exposing an evil corrup;t self-resving presstitute in hard hitting terms is not bad, it is rather much welcome. Your reply and analysis about her is absolute correct. She needs to be in limelight and need others pity for victimhood which is not always the case she needed. There are many journalists like her are not doing proper journalism but agenda driven work for their masters. Hope people like you will come forward and analyze the news correctly and present it in true nature without any bias. Interesting read. What led to the spat between the two ( Barkha Dutt and Abhijit) is not very clear. However, what Barkha Dutt actually is not a matter of conjecture. this is so so true. not just of burkha. but many lots in lutyens. Fantastic reply to Mitra Iyer. She is one of those people with an overbloated ego . Proximity to power and politicians has that effect on people. They think they can influence course of events and which they have possibly done too under the earlier dispensation. Let’s be very clear. If this is a boxing match, iyerval just won it as a knockout! Barkha’s response will be entirely predictable – she will claim further victimhood, accuse Iyer of being an ungrateful abusive troll and claim she doesn’t want to stoop to his level (fact is, she is so mediocre, she can’t REACH his level, how much hard she tries. Awesome! The icing on the cake is the lastline. Well, the pot and kettle calling each other black; hugely entertaining for the janta at large. Keep it up, the two of you. The very first time I came across Abhijit Iyer Mitra’s article in Daily Pioneer of Chandan Mitra I was fascinated & heavily impressed. It was a rude jolt when I read he is the Son of Smt.Chandralekha IAS Officer who had acid thrown on her by ….It was all too much for me to digest. But always read his tweets & have always liked him. Could not but pray to God for his well being on reading about his ”arrest”. What a MAN !! Has not lost his sang froid , wit & GOODNESS. I want to remark it is a wonderful rejoinder to this abominable idiot barkha who I have aaaalways loathed. Along with her slurdesais prannoy roys …But then praising Abhijit Iyer Mitra would be akin to someone very poor in Mathematics applauding Sri.Ramanujan Iyengar for his genius. Keep writing please. And tweeting. They enliven me. And please stick to Vegetarian Food as you yourself conveyed beautifully. That is very kind of you. Thank you . I do not agree with Iyer-Mitra’s views and (definitely) the language he has used. Legitimising violence of any kind is unacceptable and use of extremely harsh words while critiquing something is deplorable. It will only reaffirm people’s notion that RW discourse in this country can’t coexist with civility. But Barkha Dutt’s video is in poor taste. While advocating free-speech, justice etc, she fails to hide her spite for the person. It’s fair to point out somebody’s misgivings but to repeatedly suggest that he’s got a taste of his own medicine, is a bit too much. If we want to critique hate, we ourselves must rise above it. This video reeks of her antagonism towards Iyer-Mitra. It barely contributes anything to improve our sense of tolerance and appreciation of liberal values. Wow. Hard hitting. Exposes Barkha for what she actually is. Barkha Dutt and her ilk share a quality … “Thick skin”. This emotional article will not cut any ice. The only way to stop the “journalism” she represents is to cut the flow of money and/or instill the fear of retribution. Making her unterstand anything and expecting her to change her ways is pointless. Why should she? Life is good for her. You are spot on. She is that breed of corrupt journalist who can share centre stage with the most corrupt, and be counted as first among equals. And by corruption, I do NOT just mean financial corruption; it is lack of professional integrity. She is as good at PR as her long time friend, Shah Rukh Khan. Both lack substance, but are good performers. How she manages to survive is a marvel. One hopes the columnist will be more restrained – wishing incarceration for those who disagree with him, as all reasonable people should – in future. Where exactly did Abhijit wish incarceration of people with different POV, did you even read the above said piece ? or you just need help comprehending it ? He did it in his tweets.